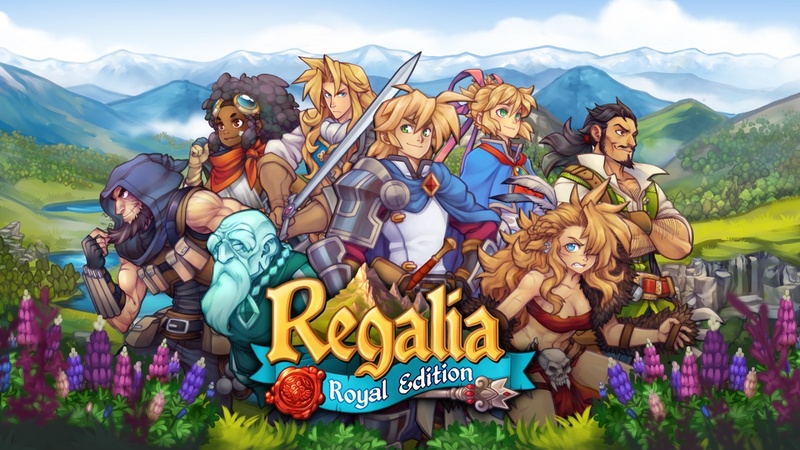 Regalia: Of Men and Monarchs is a tactical RPG developed by Pixelated Milk and published by Crunching Koalas for the Nintendo Switch. It’s a story-driven game, with a cast of colorful characters and turn-based battles set amidst a land full of merchants and monsters. How does it fare in terms of fun? Regalia starts off with some detailed storytelling as we meet the main players. The story involves Kay, who learns that he is heir to the throne of a fallen kingdom. He travels to the land with his sisters and loyal aid, Griffith. When it turns out that there is a huge debt to be paid, the team set to work restoring the kingdom to its former glory. Plenty of dialogue, but the story is interesting – and quite humorous. Plus, you can skip scenes. 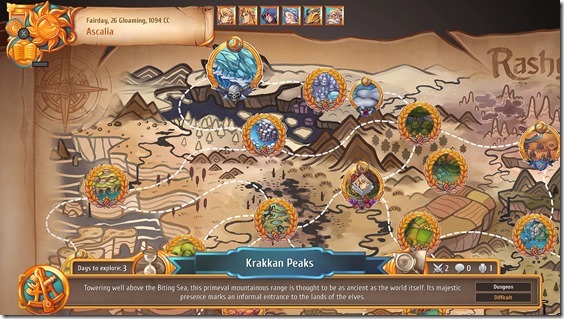 The first thing you need to know about Regalia is that it’s very in-depth – there is a lot to read, and a lot to understand, with heaps of tutorial-type text to wade through as you learn the game’s mechanics. Honestly, it borders on overwhelming at first. On the plus side, this means there is a lot of content, too, and therefore a lot to do. This is a game that could keep you busy for a very long time. There’s a kingdom to rebuild, after all, and I mean literally. You’ll have to clean the streets and surrounding areas of your kingdom by battling monsters but also building and repairing your town to entice newcomers. The game uses a calendar system, with activities taking a certain amount of time to complete. There is a time limit too, as your debtor will check on your progress from time to time. Regalia’s tactical battles are well designed and fun, once you get the hang of it. 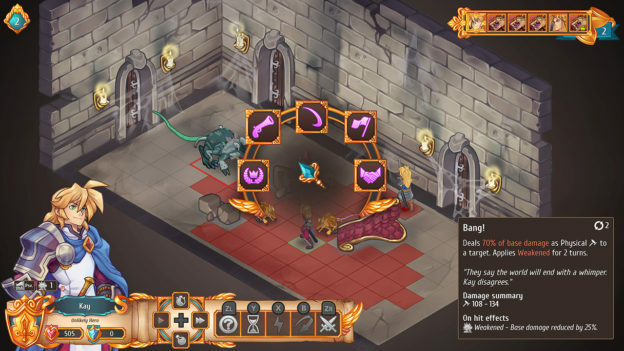 The turn-based battles are a key feature of the game, and these are acted out on an isometric playing field. 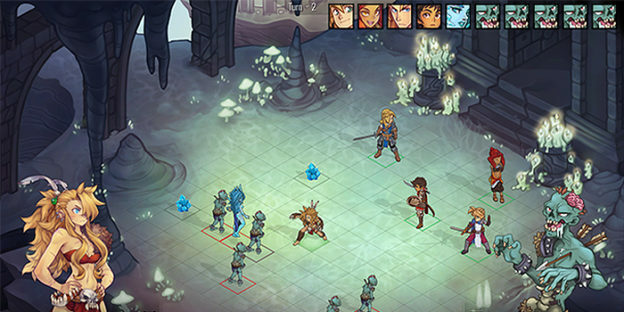 It’s reminiscent of Fire Emblem, but Regalia does a good job of separating itself from other RPGs – not always in its favor. For example, the menu system for choosing your action is a little on the cumbersome side, since you have to hold down a button while selecting. Actions also happen in different ways: sometimes automatically, other times by moving the cursor to a specific square first. I often performed an ill-timed action by mistake, basically wasting that character’s turn, which was frustrating. I did find myself enjoying battles a lot more after the third one though, once I knew what I was doing (more or less). I was well into my second hour of playing before I even reached the third battle, mind you. As I said, this is a pretty deeply involved game. Another way of putting it (less nicely) is that it’s a slow game. One of the biggest downsides to Regalia is the load times. Every time you leave one area for another – even to visit the map – you’ll be greeted with a loading screen for at least 10 seconds while the next area loads. It’s not so long individually, but it definitely detracts from the overall experience by interrupting the flow of the game. And it occurs far too often, between every change of screen, whether it’s going from the map to a battle, or to a new location, or back to the dungeon screen. It does drag the game down somewhat. Thankfully, when you are playing or interacting with characters, it is quite enjoyable. The graphics are nice and clean, with colorful environments and nicely designed battlegrounds. The music is good too, very light and jazzy, again making a mark for itself as a slightly different way of presenting an RPG. There’s a lot of voiceover work, which is used effectively. The story is fairly light with plenty of humor, which works for the most part and keeps it interesting. Some dialogue seems at odds with a character’s traits – for example, an elderly, ghostly uncle speaks in a more formal way, which makes sense. He then randomly throws out some language that doesn’t fit, which threw me off. Regalia’s map sprawls in all directions and can be tackled in any order you like. The game definitely tries to set its own tone, and it succeeds in forging its own path. Other things that set it apart include experience, since you’ll level up as a group rather than individually. You can also move or attack in any order during battles – meaning that you can move before or after attacking; attacking and then running away is fun. Overall, Regalia is a deep, story-driven affair that’s a bit like an epic novel – it feels like something enjoyed while curled up on a rainy afternoon, for example. While it’s not perfect, with some annoying loading screens and minor control issues, it looks and sounds great, and there’s plenty to do, making it an enjoyable experience. If tactical RPGs are your thing, this one could keep you going for many hours, and is worth checking out. 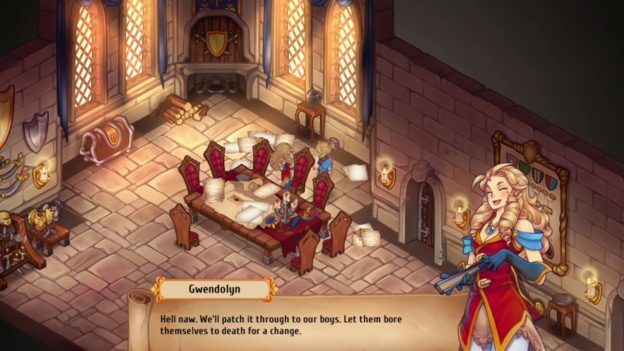 Regalia is a fun tactical RPG with a strong narrative element. It’s not without it’s issues – mainly loading times – but it’s a well-designed and content-rich game nonetheless.